This is a continuation of Tuesday's Sega CD post. 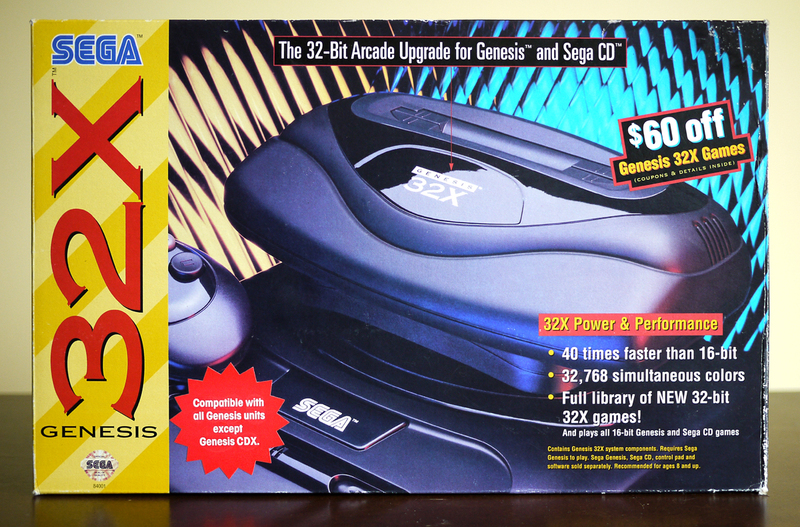 If I had felt burned by the Sega CD then I don't expect I would have purchased the Sega Genesis 32X. 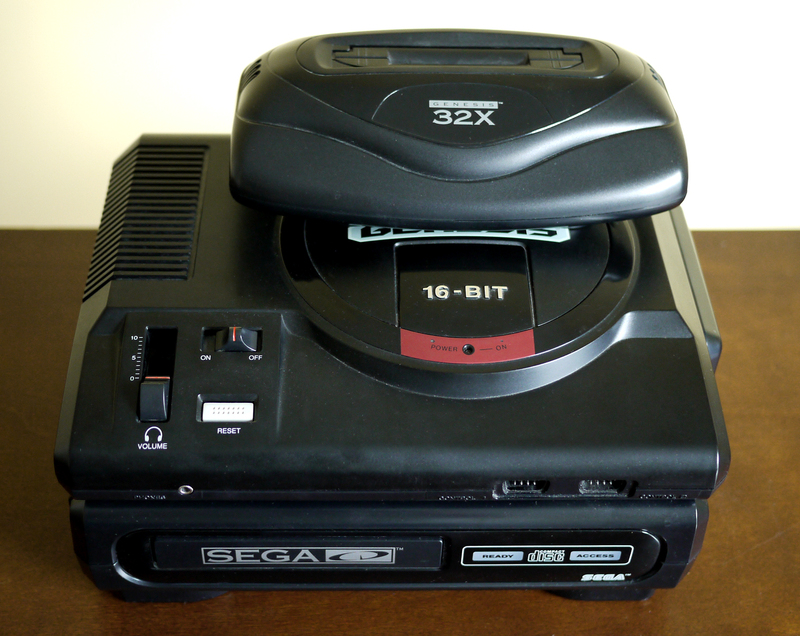 However, I do like the Sega CD and being a huge Sega fan I had to have the 32X too even if I would have some regrets later. At least I got a good discount (see below) and there was a rebate offer at the time as well. Today I would be hesitant to buy any console add-ons as they are a double-edged sword and might always be. While something like the Sega CD can increase a consoles lifespan by improving the technical quality of games, getting third-party companies to commit to an add-on can be difficult as game sales for an add-on are always going to be lower than those for the base console. 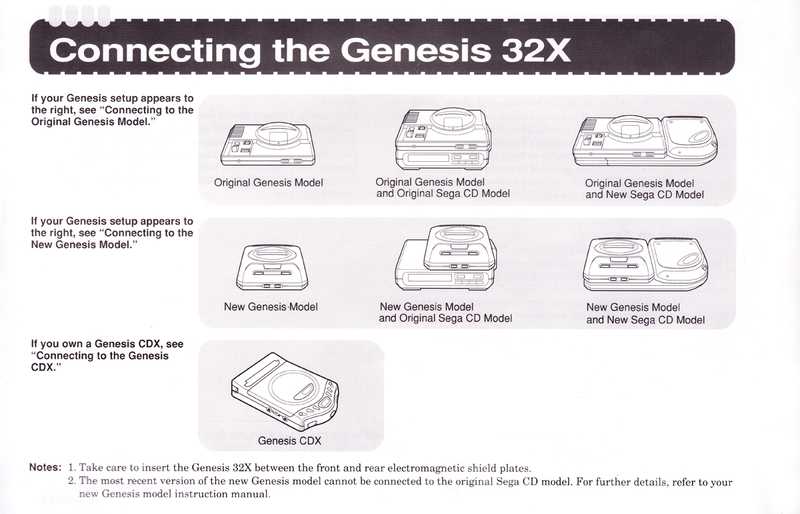 The Genesis may have had a large install base but not everyone wanted or could afford to buy a CD player attachment that cost $300. Genesis owners would probably have been better off either buying more games or getting a Super Nintendo Entertainment System and a couple games so that they could experience Sega and Nintendo games. The Sega CD did manage to get more than 200 games made for it, which isn't bad even if they aren't all good games. 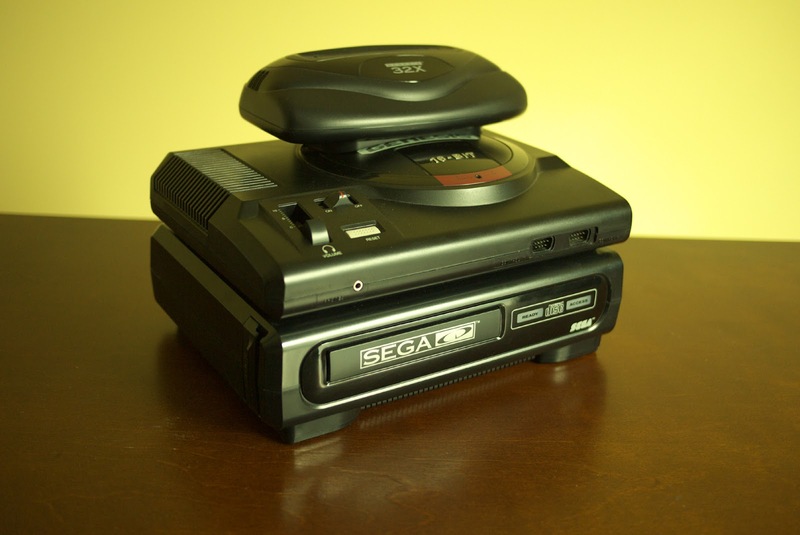 Not a complete failure but not a great success, the Sega CD wasn't an awful move by Sega though the Sega 32X was. It's challenging enough to support one add-on so why would Sega have thought a second one was a good idea? 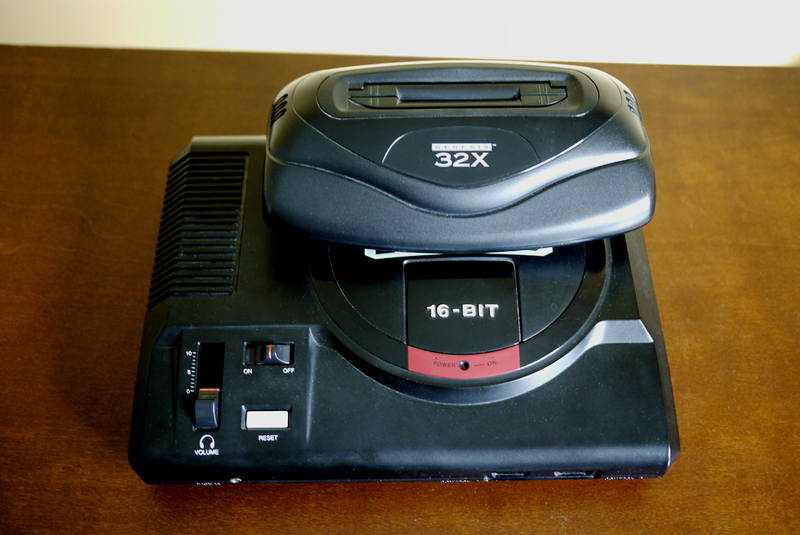 The 32X launched in the U.S. on November 21, 1994 for $159.99 while the Sega Saturn released in Japan the next day! Sega should have focused all of its efforts on the Saturn instead of splintering the Genesis community more and trying to convince its fans to spend their hard earned money on something that Sega had to have known wouldn't be supported for long. 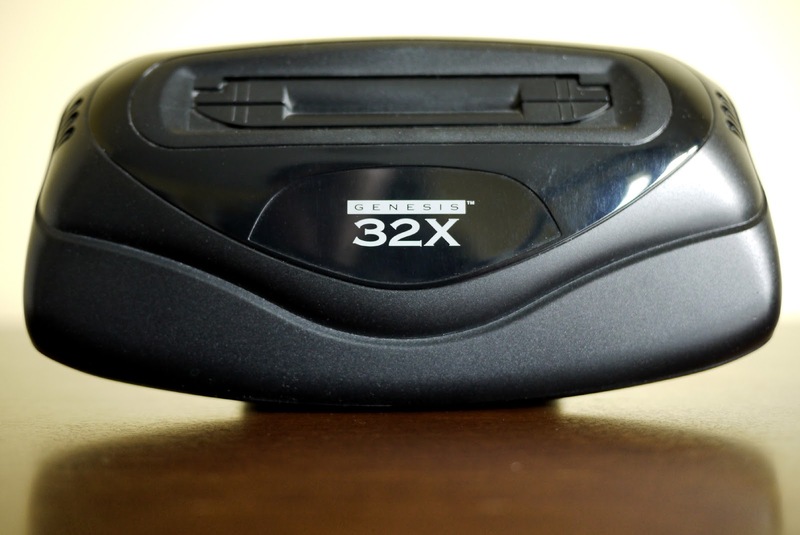 Poor sales of the 32X along with Sega's surprise announcement at the 1995 Electronic Entertainment Expo (E3) of the Saturn's early release (initially only at a few stores) in North America upset many retailers that ultimately never carried the Saturn. While I did eventually buy a Saturn, I waited for it to drop from $399.99 to $199.99. 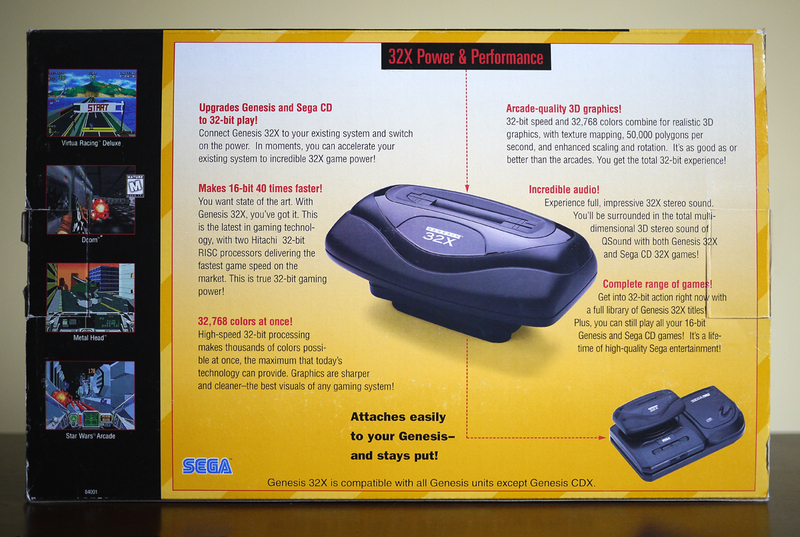 Why did I and a few others (actually it did sell over 600,000 units) buy the 32X? It probably had a lot to do with brand loyalty. For myself, I was in my second year of college and working at a Toy Works store (east coast retailer owned by KB Toys). Employees received 10% off on video games but my boss decided to start up an employee of the month program at that time, made me the first employee of the month, and temporarily increased the discount to 20% -- which corporate noticed and didn't like -- so I went for it. I've actually got a copy of the receipt here which you can see to the right. It was on sale for $149.99 and then I got the employee discount, plus I purchased the Star Wars game that was $59.99 in 1994 -- the same price most console games cost today. 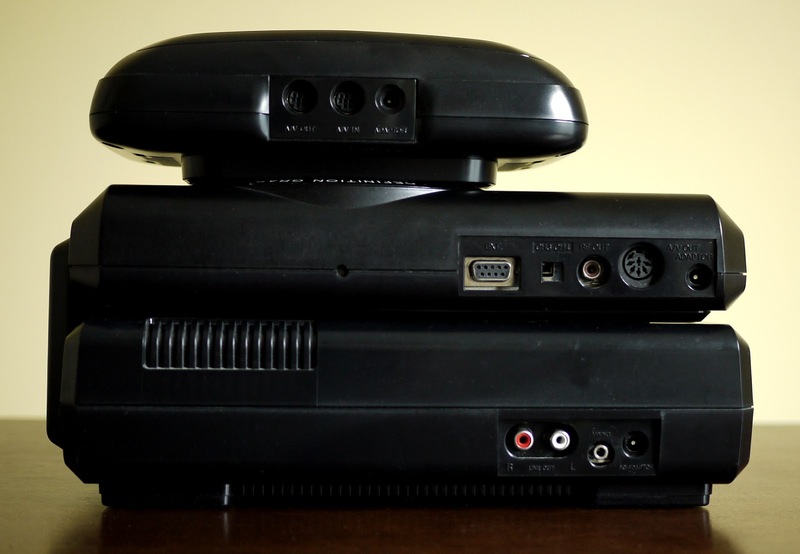 Unfortunately, I didn't even get to play the 32X for a few weeks because it only includes A/V cables and my television lacked those ports so I needed a RF unit. 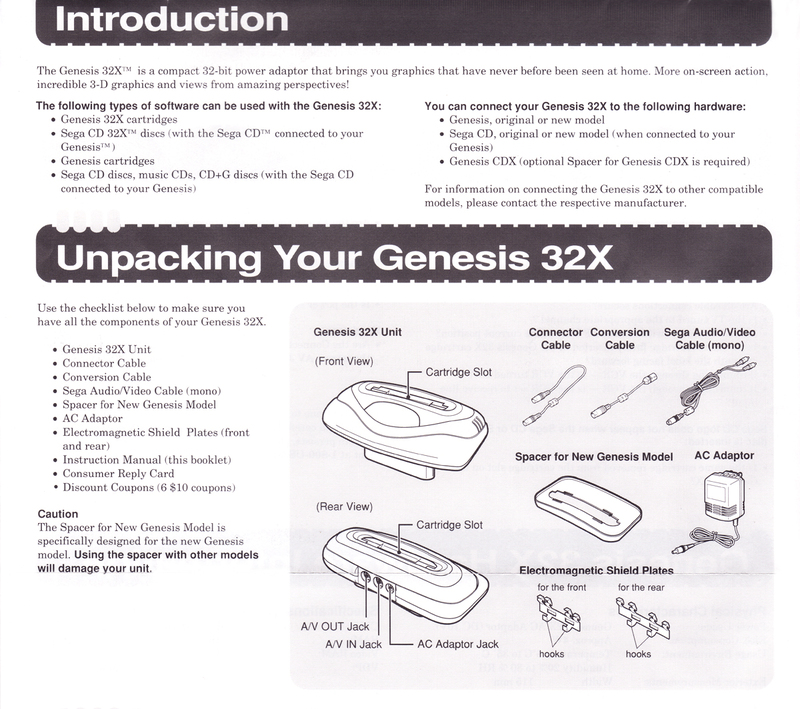 The RF unit from the Genesis 2 works for that, however, I own the original model. Therefore, I had to get a new RF unit that were for some reason incredibly difficult to find at that time in Connecticut. My mother eventually found one at a Toys 'R' Us in White Plains, New York if I recall correctly. 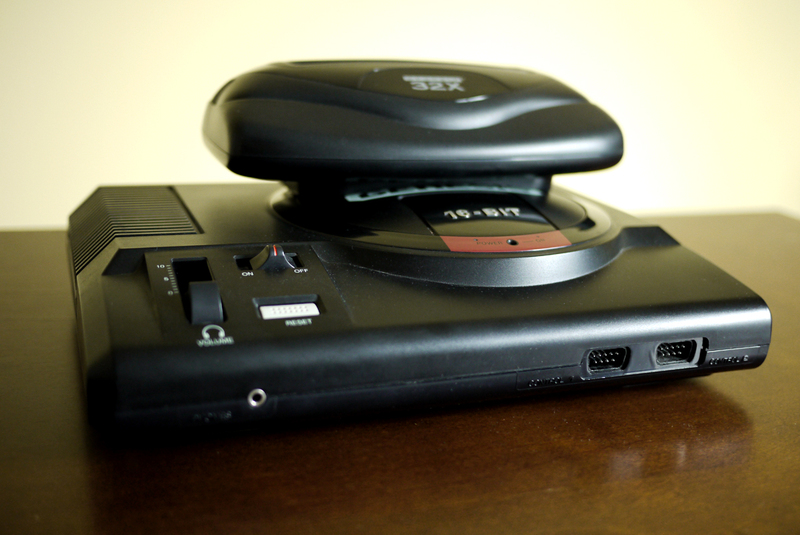 The model one Genesis and Sega CD do fit nicely together though the 32X throws off the sleek look. 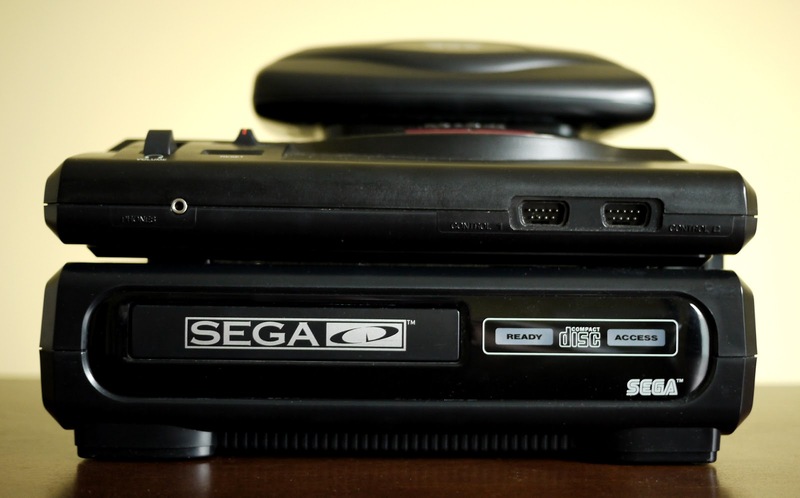 It's also a pain that all three have large AC adapters that need to be plugged in -- Sega Power Strip to the rescue (see the Sega Genesis post). Actually, you could unplug the Sega CD when not in use as the manual does recommend. 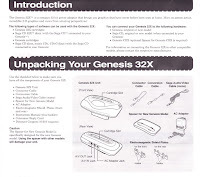 Genesis games are placed in the 32X so no need to take that out when you want to play most Genesis games (some are not compatible), and the video output of the 32X is better which can lead to the 16-bit graphics being slightly improved. Worldwide there were 40 games released for the 32X and 36 of those made it to North America. Unfortunately, a few of those games are simply upgraded ports of Sega CD FMV games and a few others are ports of Genesis games so there are not a whole lot of unique games for the 32X. I only own Star Wars Arcade, Doom, and World Series Baseball, and those are the only 32X games I've ever played so I can't say too much about the quality of the other games. Doom is a good port but I don't believe World Series Baseball is much better than the Genesis versions. Star Wars Arcade is a tough game that doesn't have a lot of variety; you just fly through space shooting enemy ships and eventually the Death Star. Combined with the Sega CD post this was originally one blog entry but then I wrote so much I had to split it in two. I suppose I do have more memories of obtaining the add-ons than the Master System and Genesis since I was older and had to spend my own money to acquire them.